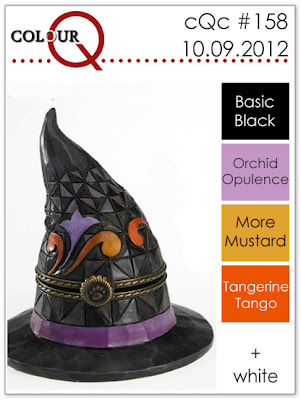 Time for this week's colourQ! For me these colours are perfect for Halloween. 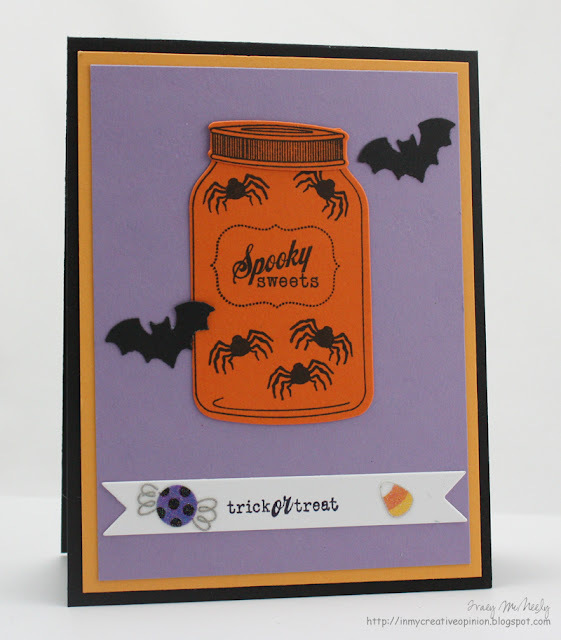 I don't have a lot of Halloween stamps so I let these awesome colours take the lead for my card and I used Papertrey Ink's Friendship Jar Fall Fillers to create a jar of yummy treats. love that mason jar ! everything is just perfect! Heehee! I love this....I might just have to CASE this idea! Such a Fun Halloween card...I love that jar! What a fun card. I love how it looks like those bats are trying to get to the spiders in the jar. Great idea and great card! Love the candy on the banner. Spiders are the ultimate spooky treat!! I think I'll pass on those "yummy treats," super fun card though!